you played a wild growth on turn 2 ? 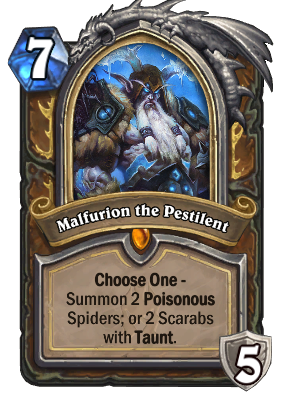 grats, now you summon him on turn 4 and have absolute board control by turn 5 and you still have 1 wild growth and 1 innervate at your disposal; you also still have nourish and mire creepers and on turn 7 you can already summon kun the forgotten (and maybe your fandral is still alive too, imagine that). it takes disgusting luck to topdeck all 3 legendaries i admit it and you may manage to pull this off just once in a blue moon...but i'm dead set on trying. funniest dk hero so far for me, and i'm not even a druid player! Very underpowered and lacks any depth of originalty. It's like they got to Druid and fell asleep. I'm pretty sure Justicar Trueheart was better because you got 2 att/2 armor w/o requiring a legendary minion in play, and guess what? Druids didn't use that card either. This is not a minion, it's a hero card. The hero power change is permanent. I've been playing him in Jade Druid. Easy to ramp/innervate into, he helps keep the board under control while jades mature, and the hero power is great if you're reduced to topdecking late game. While it is underwhelming compared to the other Death Knights. I say this is more practical if you are planning to play the long game. 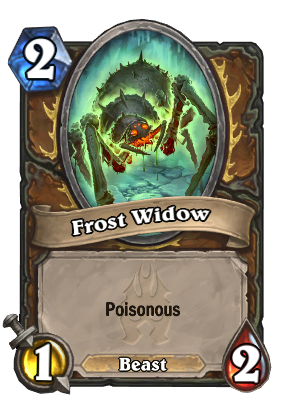 This is to say it gives you something that can potentially help against Freeze Mage as well due to the armor hero power as well. And that leaves the hero power for 2 mana, which is reasonable enough. Another thing to keep in mind is that this only costs one card from hand. While doing each of those things individually would cost 3-4 cards. Each card draw is valued at about 1-1.5 mana each. the battlecry could have been his hero power .And 7 mana ? Really blizz? Honestly I don't think this card is alot better than Justicar Trueheart for druids, that they never used. Justicar doesn't give you instantly 5 armor, and gives you a 6/3 minion which is a bit worse than two 1/5 taunts or 1/2 poisonous minions, but it costs 1 less mana which is very significant and give you a better hero power (2 attack and 2 armor). So basically good with this hero power he is great for control and more aggresive decks. Nice one. Oh yeah. Agressive decks. At turn 9. Nice one. 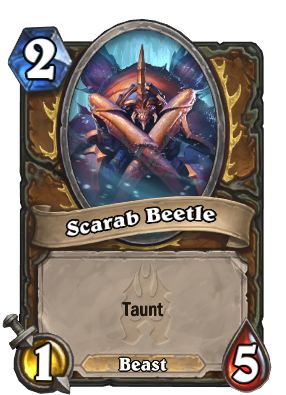 I personally wish the battle cry was "summon 2 random minions with 5 or more attack" to help the quest and just a good on board play. I was expecting the hero power be: Choose a Choose One. Then Choose a Choice for that Choose One Card. I'm disappointed that they didn't name this "Malfurious". I don't understand why people are hating on the hero power that much. Being able to gain 3 armor each turn is pretty strong. Just look at warrior gaining 4 armor when Justicar was around. And yes, I know Druid has gotten little to no cards that are actually good, but still a pretty flexible hero power nonetheless. What are the stats of the summoned minions? It might actually end up being really good if they are strong. EDIT: nvm, wow that's bad. at least it's a generic card I guess.. Easily the worst Death Knight Hero. 2 more DK heros left, please Warlock be good.